It's the crew of the original series—as Quogs! 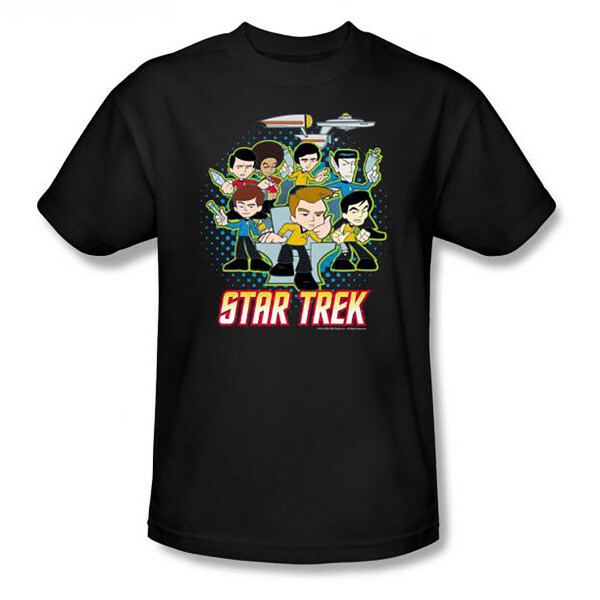 This Star Trek Cartoon Crew T-shirt is fresh, entertaining and original, just like you (and Star Trek Quogs)! 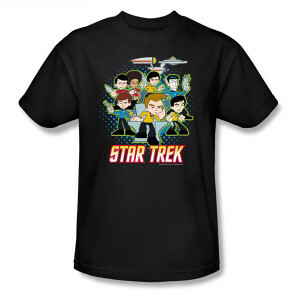 The Star Trek logo is printed on a 100% high quality pre-shrunk cotton t-shirt.